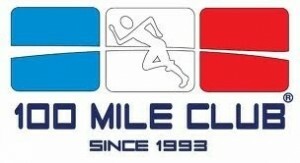 The 100 Mile Club at PEC will be starting on Monday, August 28th. We will be running every day, Monday through Friday, starting at 7:30am. Permission slips are available at Running Club, in the office, or print your own by clicking on the link below. Every lap counts, and it’s never too late to start! Runners are welcome any day, at any time. Students can also get credit for miles that they run in an official race. Just bring your bib number and we will punch your card! And finally, running club doesn’t end once the 100 mile goal is achieved! Encourage your child to continue running and become an Elite Runner at PEC! The 100 Mile Club provides the opportunity to run or walk 100 miles (or more!) at school during a single school year which improves school readiness to learn, creates better educational outcomes, builds self-esteem and the overall health in the lives of children and others. Runners will receive a t-shirt at 25 miles, with more prizes to follow. If you have any questions, please contact Amy Spears (amyespears@gmail.com) or Caela Timinsky (caela.timinsky@eusd.net). We look forward to seeing you on the track!